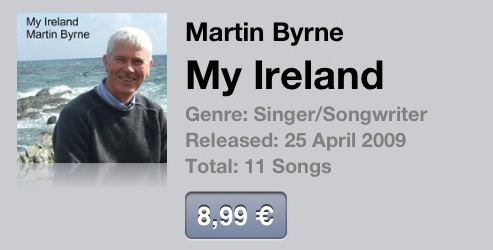 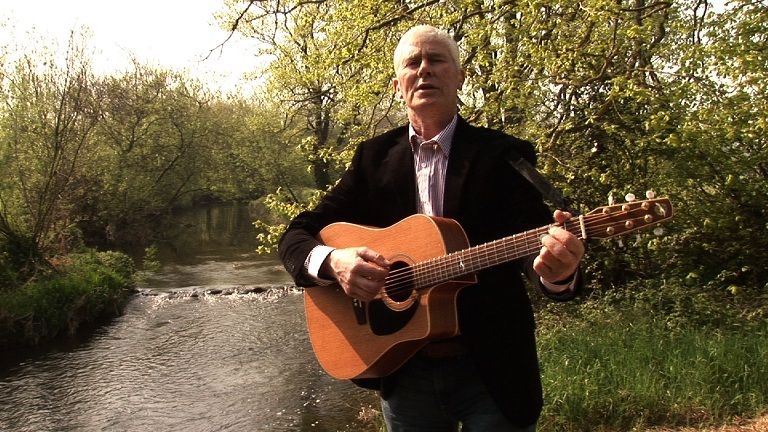 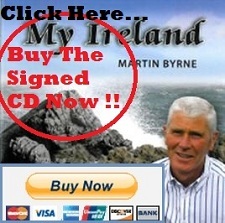 In 2010 Martin Byrne released his debut album titled ‘My Ireland’. 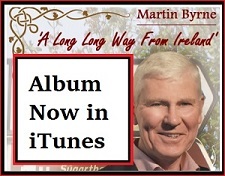 This beautifully crafted album is a collection of Eleven original tracks all written by Martin himself, covering a wide range of topics from the Famine — 61 Days, to the legendary Tommy Makem — The Bard Of Armagh — right up to the rivetting ballad — Haul Away. 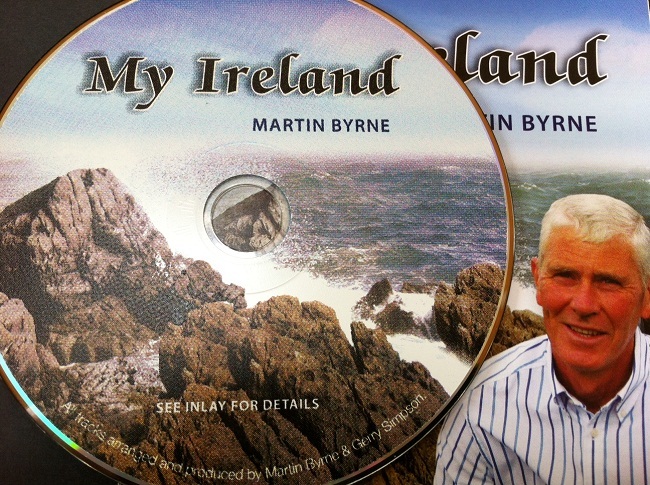 As the title suggests – they are all songs about the people the place and the history of our great land. 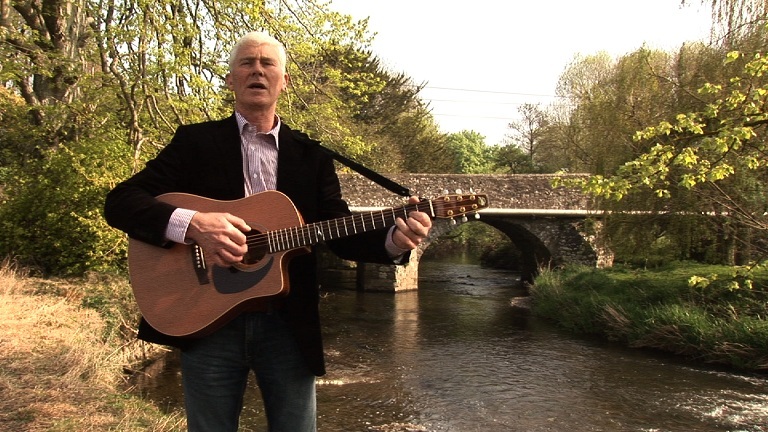 With Acoustic Guitar by Mike Hanrahan (of Stockton’s Wing ), music by David Yeats, Harry Long, Charlie Arkins, Christy Sheridan, Paul Martin, John Gilbride and music and direction from Gerry Simpson, the sound on this album is truly magic. 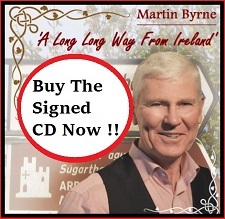 Within months of it’s release Martin was voted 2010 Best Singer Song Writer of The Year at West Limerick 102 fm Annual Awards. 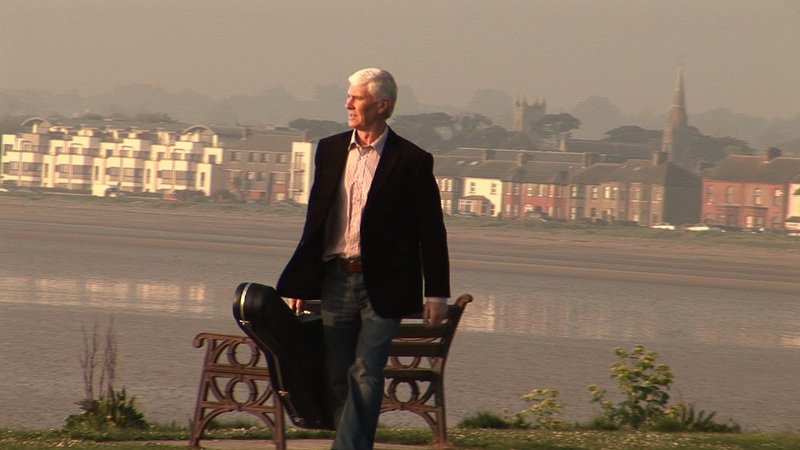 Previous award winners include June Rodgers, Foster and Allen, Caitlin Murtagh, Mike Condon, Eddie Lee, Catriona Michael Collins, The Dreamers and many more.